04.06.2012 - 16 teams are waiting for the draw. FYR Macedonia wins decisive duel and qualifies for EHF EURO. 02.06.2012 - Austria defeats Slovenia to finish in third place in the EHF EURO qualifications. 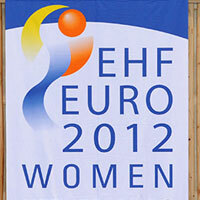 Final decisions on the way to the women's EHF EURO 2012. 01.06.2012 - All 16 teams of the EHF EURO 2012 participants will be known by Sunday.